Garden Bouquet by Roxanne. Kits available at Gathering Fabric. 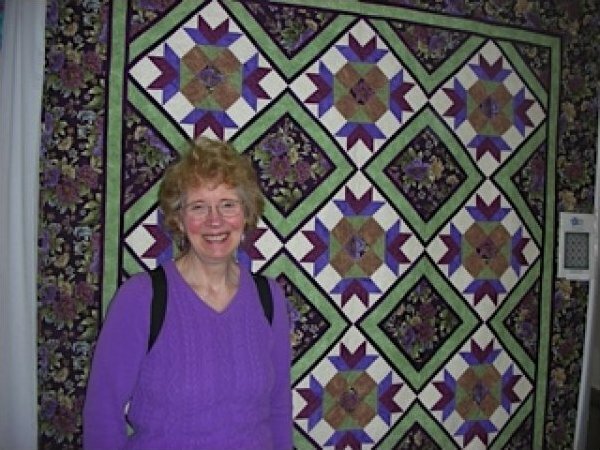 Learn everything and anything about quilting with Roxanne. She has the most knowledge, teaching experience and qualifications of anyone I know. 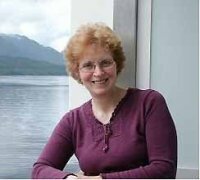 Work on Roxanne's BOM or get the expert help you need for a particular project. 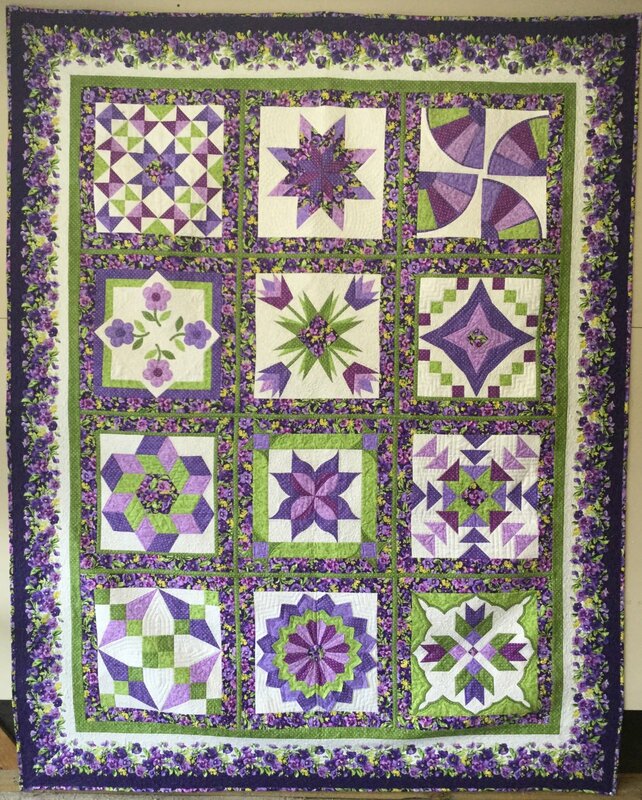 Paper Piecing, sculptured borders? No problem. 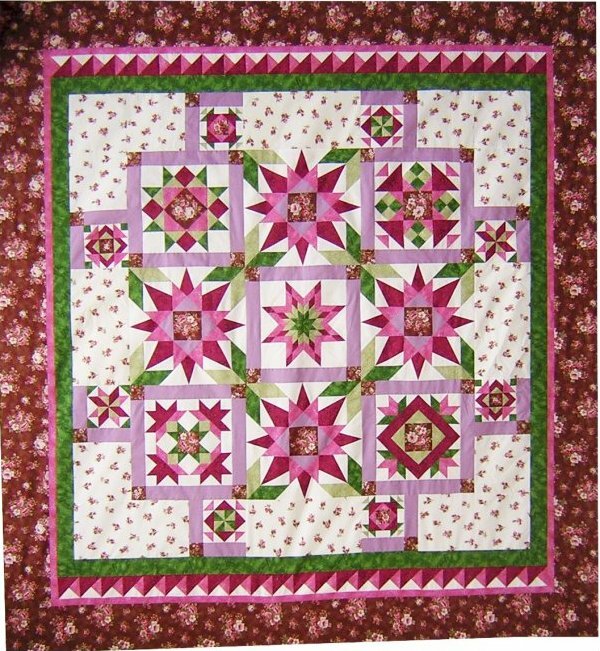 Roxanne teaches everything from cutting to binding, machine quilting and machine applique too. 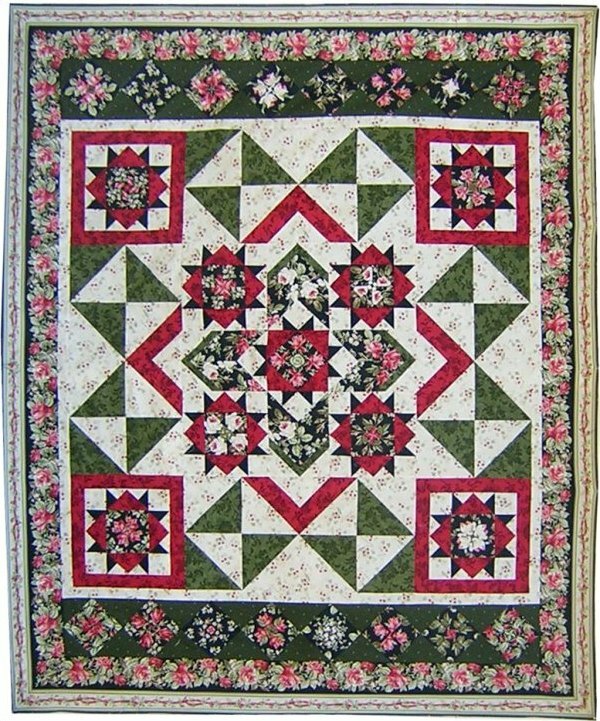 Roxanne is the one and only for quilters at all skill levels. First Tuesday, Second Friday or Second Monday of the month. 10am - 1pm. $20. Call the shop to check on availability: 425-402-9034 or email Susan at gatheringfabric@aol.com. Thank you. 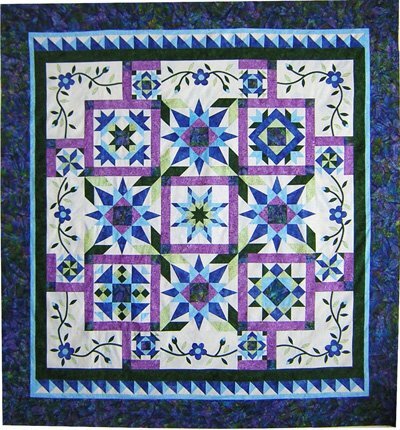 This quilt sampler will feature the Quilt As You Go technique.